Sarah Varble is a Middle Fork Willamette Watershed Council Board Member, currently serving as Board Vice President. 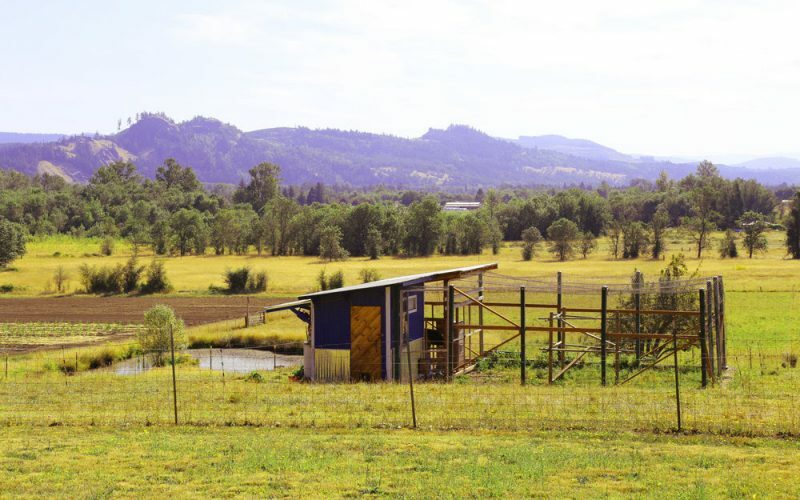 She and her husband, Kevin Davis, run a small, sustainable farm in Pleasant Hill, Oregon. 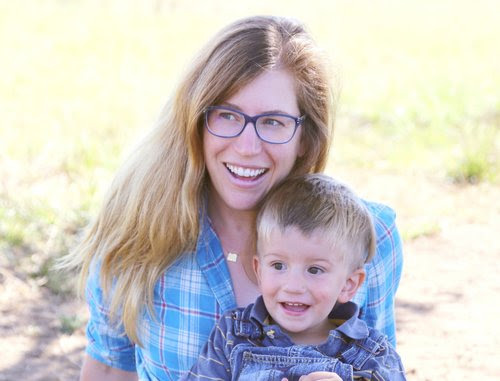 Sarah also works as a new product support specialist with Fall Creek Farm & Nursery Inc. Sarah and Kevin are also parents to two “free-range” sons – Finn and Pike – who can regularly be found helping with animal chores around the farm. Sarah and her son, Pike. 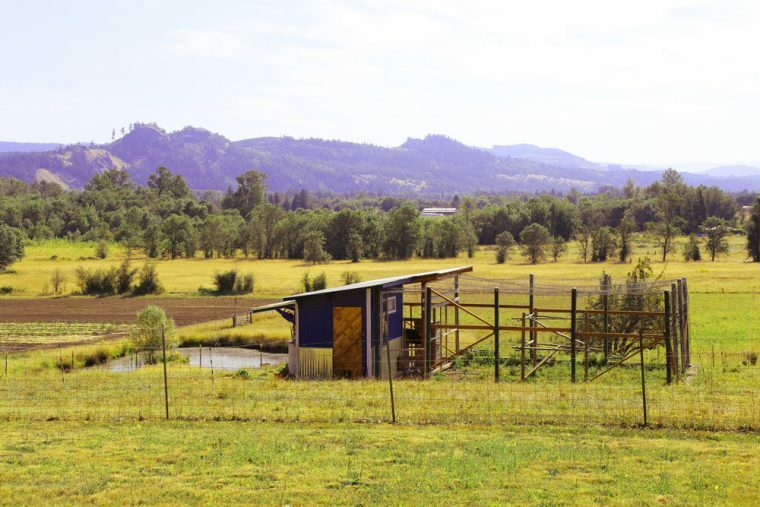 As a small family farm that cares intensely about the conservation of the land and water that surrounds us, we are deeply invested in the health of the Middle Fork Willamette Watershed. Who are we? Kevin and I grew up in the suburbs. I had agriculture in my veins (both sets of my grandparents were farmers in Illinois). Kevin is from Oregon and has always loved the Pacific Northwest. From an early age, we both knew we wanted to be caretakers of the land. 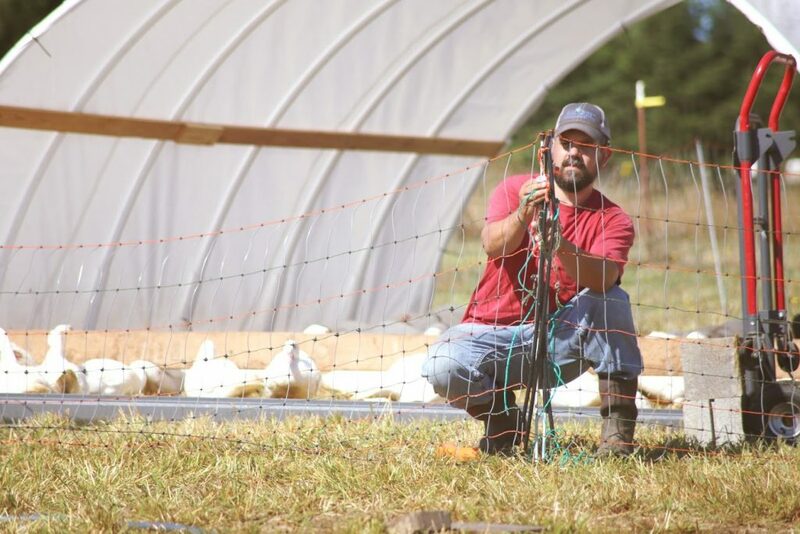 Sarah's husband, Kevin, installing a free range enclosure for ducks. We had the opportunity to live in a very rural (and I mean VERY rural) area in Illinois for three years as I was going to school, and knew we never wanted to go back to suburbia. So, when we landed in the Eugene area, we looked and looked for the perfect piece of property. It took us over a year to find our little farm in Pleasant Hill. It couldn’t be more perfect for our family of four, and we started collecting animals from day one. 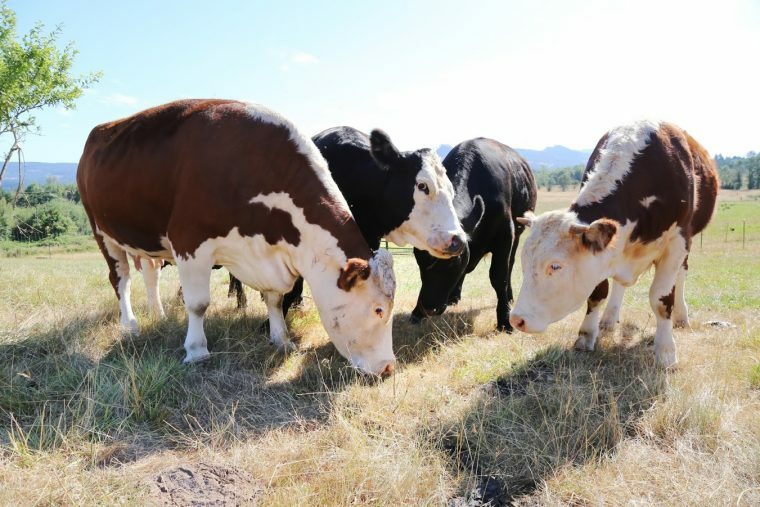 Grass-fed free range beef with rotational access. We now have cows, goats, pigs, turkeys (soon to be Thanksgiving dinner), chickens, ducks, geese. They all live happy free-range lives on our pasture. 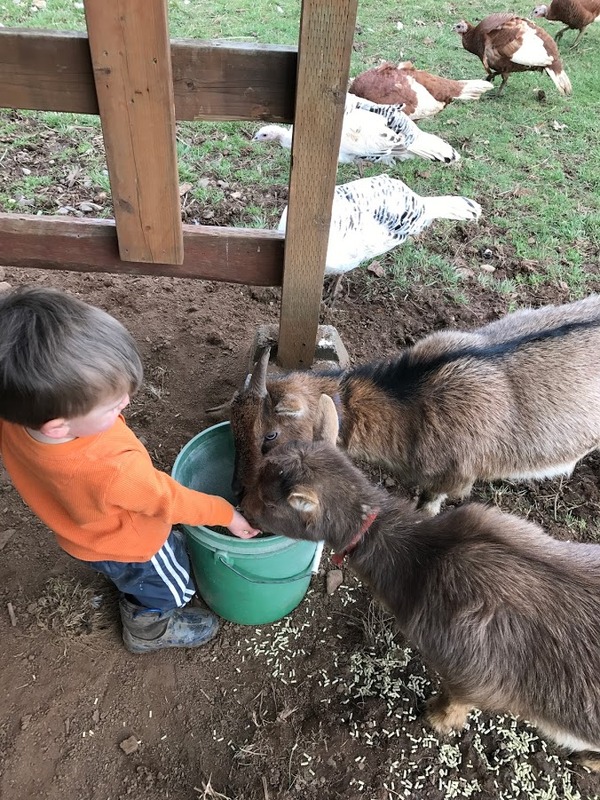 We wanted to make sure we utilized sustainable farming methods that took advantage of the bounty of the land (pasture grass, apple trees, etc) while feeding our animals and giving back to the soil. We practice intensive rotational management that allows the animals constant access to fresh pasture grass, while providing rehabilitation time for the vegetation and land. 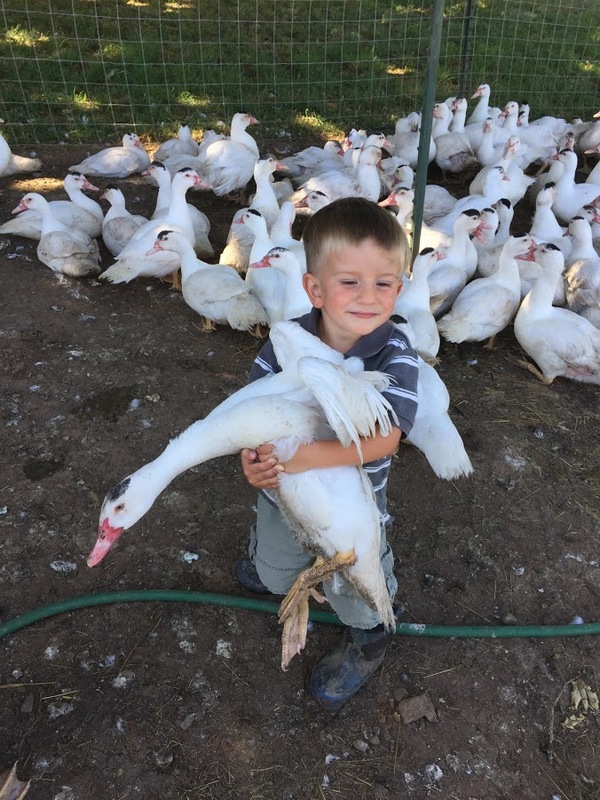 Pike helping move Muscovy ducks, the farm's specialty. It's feeding time for baby goats! We invite you to enjoy the Middle Fork as much as we do, in recreating, living, and working in this beautiful watershed. 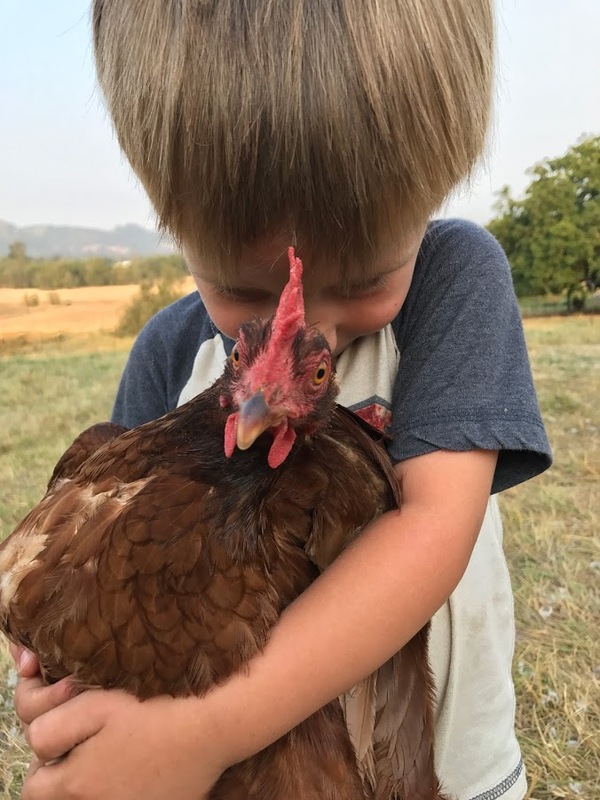 If you would like to learn more about our farm, visit our website & blog: www.gnarledoakfarm.com, and follow us on Instagram and Facebook: @gnarledoakfarm.